I am Working on the Website Again | The McKeen Motor Car Website I am Working on the Website Again | The Compendium of Knowledge on the McKeen Motor Car Company, and their experiments. 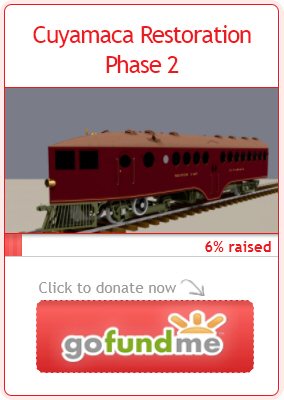 I know I haven’t update much of the website in the past months, with how busy an actual McKeen Car has kept me, it’s been difficult balancing Sleep, School, Work, 3-D Drawings, Homework, running such Facebook Pages as the McKeen Group, “Ahead of the Torch,” and a few other railroad related groups. I do a little of each most everyday, but there’s only 24 hours. I am going to try to update my website, and I’ve started with the Maricopa and Phoenix Railroad, and the Northern Pacific Railroad Pages. I am also going to work on other pages as I really need to update some of them… Not that history is changing, but that I’m acquiring more and more information that I haven’t had time to add to the website. Lastly I want to say, thank you all for your support in my project, we are now a 501c3 Non Profit under the eyes of the IRS, and we are finishing up the process with the State of California. Again, thank you everyone for you’re help, it really does mean a lot when someone tells me that received most of their information from my website, and that it was a great help in their conquest for knowledge on even the smallest of railroads.